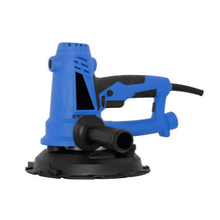 Power Tool, Power Tool Products, Power Tool Manufacturers, Power Tool Suppliers and Exporters - Dan Yang Three Win Industry Supply Co.,Ltd. - The higher power efficience transfering ensures a longer service life. - Light weight makes workers more confortable in work. 1, Sanding can be difficult and time consuming due to surface clarity that leads to repeat sanding when you miss a spot. 2, Newly design SandGlow system enable you to work better and more efficient while sanding. 3, The system is designed and built with super-bright LED that are positioned at ultimate angle to provide you visibility during inefficient lighting condition. 4, With this new function, you will never miss an uneven spot and would assist you to finish your work quicker. 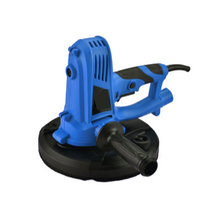 5, Enjoy your Drywall Sander with the SandGlow System today. No-load Rotary Speed 1500-2700 RPM. - Multi-function designs for different polishing jobs. No-load Rotary Speed 800-1700 RPM. 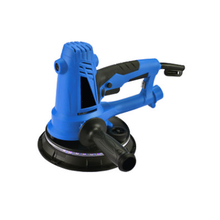 1, Self-suction, with dust extracting system, no vacuum cleaner is required, making the whole sanding operation extremely convenient. 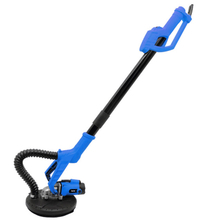 2, Ergonomics design with soft grip provides comfortable operation. 3, Constant speed ensures efficient work. 4, Separation motor cooling and dust extracting system. 5, Large sanding pad surface ensures efficient work. 6, Small size in this series, easy operation. 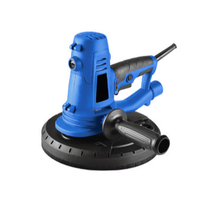 Useful in different applicationl; sanding and grinding task in the area of stone, wood and metal. 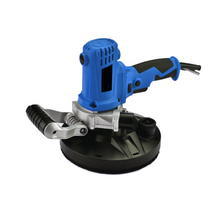 7, Ceiling function for top ceiling work and with outlay adjusting knob that easily adjust the suction at any time you need. No-load Rotary Speed 1500-2300 RPM. - Extendable from 135cm to 190cm, fit for different working space. 2, The robust driving system transfers the power efficiency to the sanding pad and ensures a long service life. 3, Ergonomics design with soft grip providing comfortable operation. 4, Gear driving system to ensure durability. 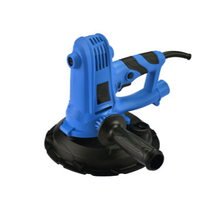 5, High torque grinding head, up to 2.8N.M. 6, Brush segment can be detached easily to sand along edges and in awkward positions. 7, Speed can be adjusted easily within 600-1600RPM. No-load Rotary Speed 600-1600 RPM.